Replica Redcoat uniforms on display at the Gold Museum. 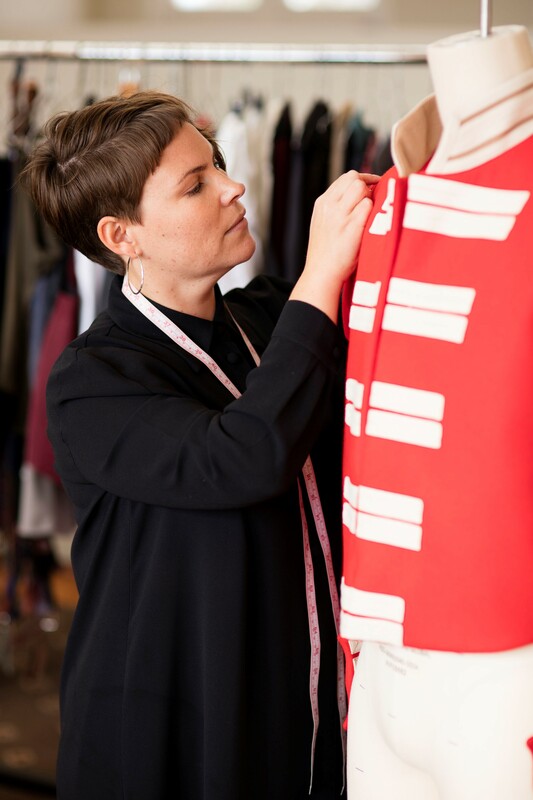 Erin Santamaria working on a replica Redcoat uniform, 2016. As part of our summer school holiday program, we have three replica Redcoat uniforms on display in our Gold Pavilion gallery. These replica uniforms were produced by the Sovereign Hill Costume Department. Sovereign Hill’s 40th Regiment of Foot (the Redcoats) are one of the highlights of Sovereign Hill’s program. They are also the face of Sovereign Hill at high profile public events in Melbourne and Ballarat. The replica 1850s military uniforms worn by the Redcoats were last replaced in the 1990s and were in dire need of replacement. After an extensive fundraising campaign and an intensive research and manufacturing project headed by the Costume Department, the new uniforms are now ready for our visitors to enjoy and our staff to wear with pride. The research and making of the new uniforms has involved a global search for suitable fabrics and materials. Where possible, the exact garment construction methods from the 1850s have been reproduced with certain elements of the uniforms made at Sovereign Hill by our own craftsmen, showcasing some of the historical trades and skills nurtured and kept alive by Sovereign Hill. The replica uniforms will be on display at the Gold Museum until January 29, 2017.